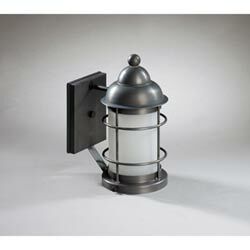 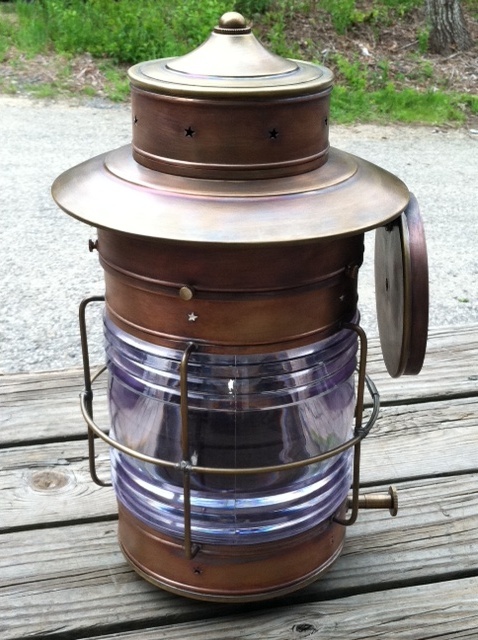 The CCAWLCGD Cape Cod Anchor Wall Lantern Large Caged Lanterns are made right here in our shop on Cape Cod! 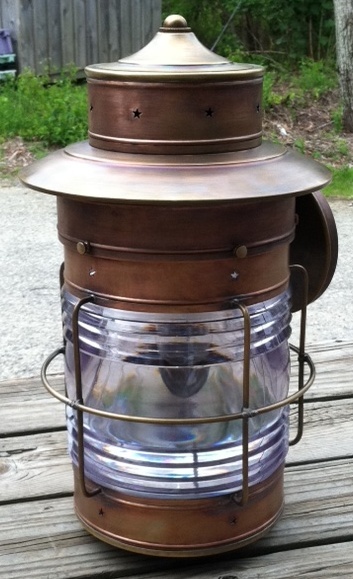 In a Solid Copper and Brass Combination, these attractive lanterns can be made as pictured with clear, red, or green lenses. 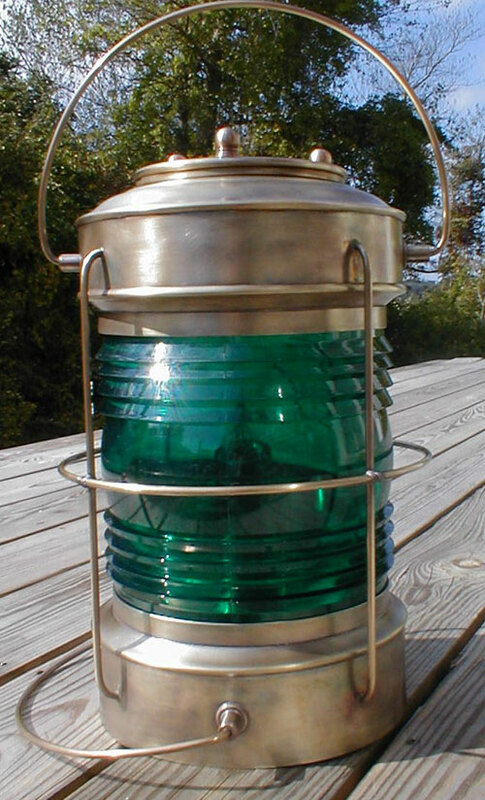 These Fresnel lenses are Perko Marine Lenses that are made out of Lexan. 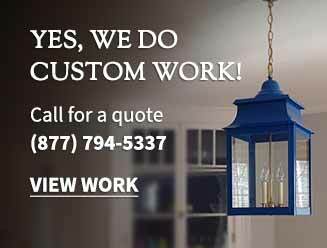 They come apart for easy cleaning of the glass and bulb replacement. 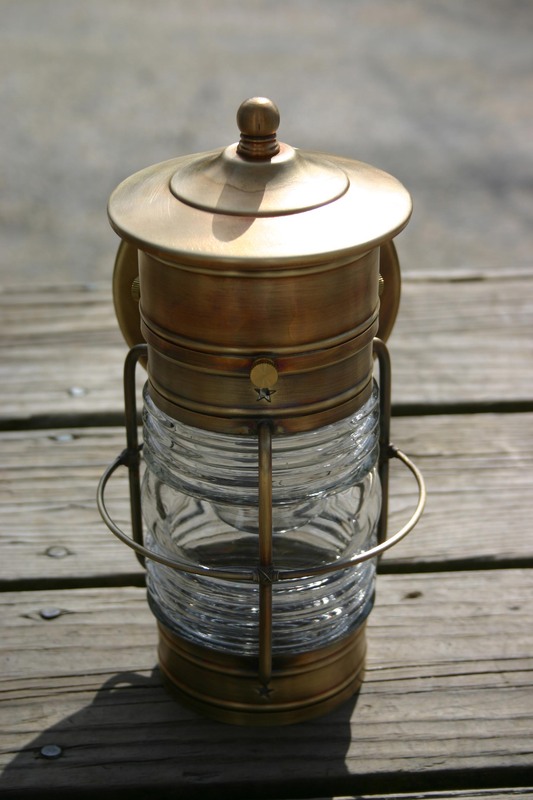 This Lantern accommodates a 75 Watt standard light bulb or a compact fluorescent. 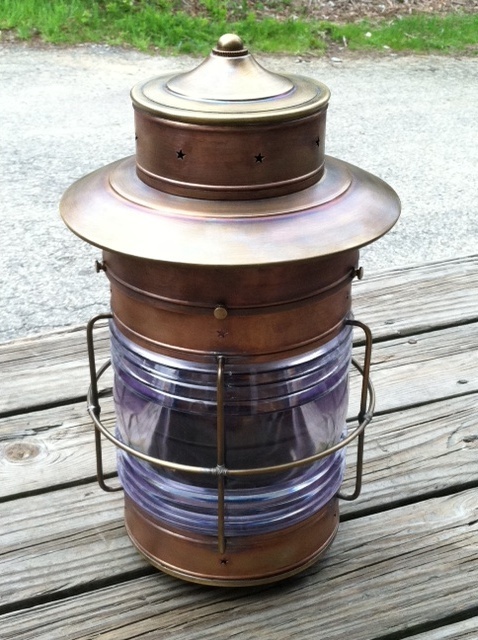 Thank you very much—The lanterns are beautiful!